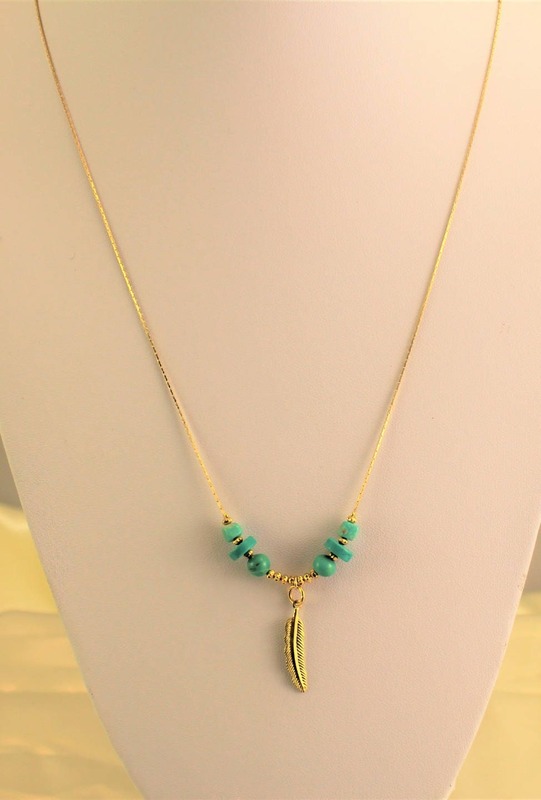 This chic boho style necklace is very delicate and refined. 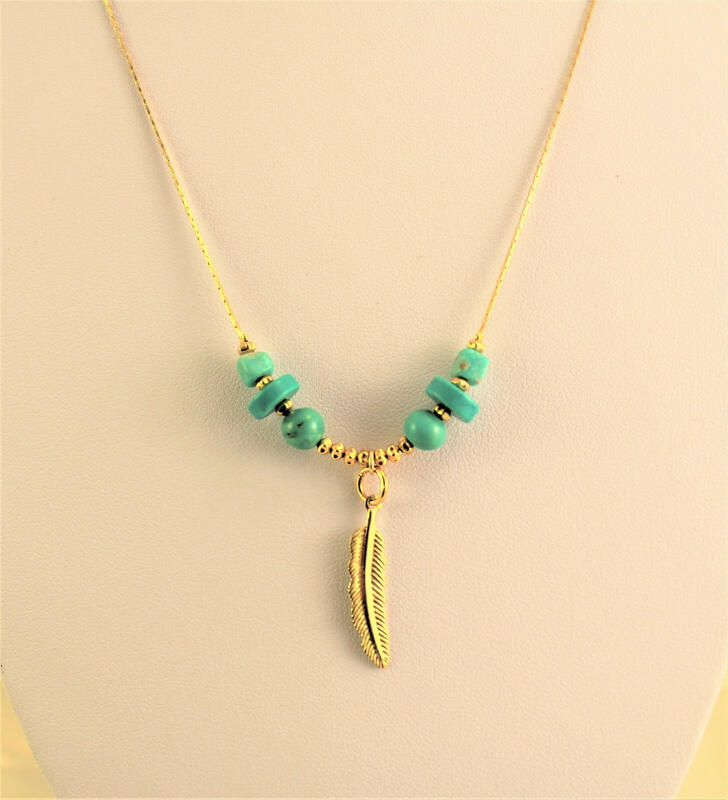 It features a finely carved feather, washers in the shape of tiny stars and ultrafine chain plated gold decorated with genuine natural turquoise. The height of this long necklace with pendant is 45 cm (total length 90 cm), it is extended by a 3 cm extension chain. I can if you want it shorter on request. The multiple details refined piece gives it a lot of chic and elegance. More turquoise is a stone of balance that brings the unification and harmony between body and mind. It promotes meditation and provides the wearer calm and serenity promoting interpersonal relationships. A nice gift box and gift bag are available.